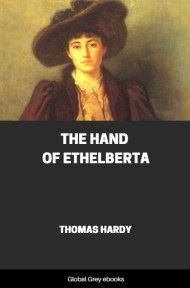 Jude Fawley's hopes of a university education are lost when he is trapped into marrying the earthy Arabella, who later abandons him. 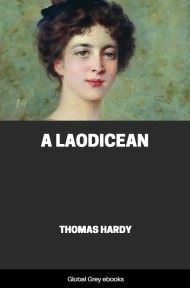 Moving to the town of Christminster where he finds work as a stonemason, Jude meets and falls in love with his cousin Sue Bridehead, a sensitive, freethinking 'New Woman'. 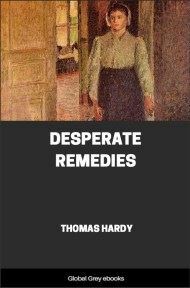 Refusing to marry merely for the sake of religious convention, Jude and Sue decide instead to live together, but they are shunned by society and poverty soon threatens to ruin them. 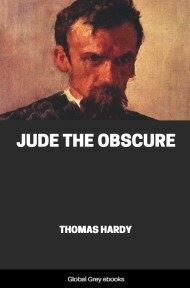 Jude the Obscure, Hardy's last novel, caused a public furor when it was first published, with its fearless and challenging exploration of class and sexual relationships. 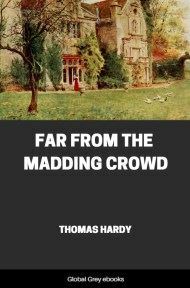 The blacksmith, the farm bailiff, and the schoolmaster himself were standing in perplexed attitudes in the parlour before the instrument. 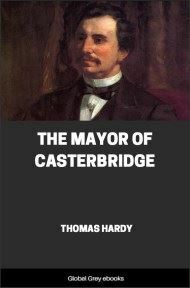 The master had remarked that even if he got it into the cart he should not know what to do with it on his arrival at Christminster, the city he was bound for, since he was only going into temporary lodgings just at first. A little boy of eleven, who had been thoughtfully assisting in the packing, joined the group of men, and as they rubbed their chins he spoke up, blushing at the sound of his own voice: "Aunt have got a great fuel-house, and it could be put there, perhaps, till you've found a place to settle in, sir." The boy Jude assisted in loading some small articles, and at nine o'clock Mr. Phillotson mounted beside his box of books and other impedimenta, and bade his friends good-bye. "I shan't forget you, Jude," he said, smiling, as the cart moved off. "Be a good boy, remember; and be kind to animals and birds, and read all you can. And if ever you come to Christminster remember you hunt me out for old acquaintance' sake."